19 April 2016: Where have all the big estates gone? We’ve been keeping a beady eye on a trend that’s been developing over the past five to ten years and that’s the curious case of the disappearing large family car and estate. Turn the clock back just slightly and there was one in the line-up of every serious manufacturer. Honda had its Accord, Renault’s was the Laguna while Nissan sold the Primera with a choice of three bodystyles. Gone, gone gone. So where have these buyers been going? For the large part, it’s quite simple - they’ve become crossover owners. Remember in the mid-2000s, when it was announced that Nissan would no longer be building the Primera in the UK? When it was announced that it would be replaced with a funny model called the Qashqai, it appeared to be a kick in the teeth for the Sunderland plant. But that couldn't have been further from the truth - not only is it a regular fixture in the top 10 monthyl sellers, but it has been an export success. It also created a new breed of cars and redefined the way we think about family cars, prompting copycat models from other mainstream manufacturers. And now the focus moves onto those that could be going. Sales of the Peugeot 508 and Citroen C5 have been falling for years. Will they be replaced? Probably not. Then there’s big names like the Ford Mondeo and Vauxhall Insignia - even they’re not selling in the same numbers they once did. In 2015 the mighty Mondeo was outsold by both the BMW 3 Series and Audi A4 - confirmation, if it were needed, that if buyers aren’t buying an SUV, then they’re buying premium. Which brings us back to the Avensis. This was once a big name, not only in Toyota’s line up, but also as an alternative to Mondeo and Insignia. This is the car that was originally launched with an Iggy Pop soundtrack. On the site, we’ve seen searches for Avensis fall from first or second for Toyota to behind Yaris, Auris, RAV4 and Prius. The interest is still there, but it’s clear that it’s not as strong as it once was. It’s reflected in UK sales, too. Between 2000 and 2007, Toyota never sold no ewer than 20,000 Avensis a year, reaching a peak in 2004 of 26,000 cars. Since then, numbers have fallen dramatically, dipping below 10,000 in 2011 and 6000 in 2013. This year is likely to be the same. That pattern has been replicated in Europe, with a peak of 142,000 cars falling to 33,000. That raises questions about the Burnaston factory in Derbyshire where both the Avensis and Auris are made. It would appear to be in a similar position to Nissan’s Sunderland plant in the mid-2000s. It’s an efficient, modern factory that’s producing a model slotted into a declining market. The question is rather what will be built and for whom. Toyota has already launched its Qashqai alternative, the C-HR crossover, so it won’t be that. But with Auris and Auris Hybrid both produced there, could it become the hub for small cars and potentially could do more with hybrids and/or electric cars? This is all speculation, of course, but with new Avensis launched in 2015 and operating on a seven-year life cycle, I would expect an announcement within the next 18 months - sooner if it was decided to end Avensis production early. There’s also the potential at the plant for exporting outside of Europe. Currently the Avensis Tourer - which I’m driving - is the only Toyota to be sold in Japan that’s made outside of Japan. That’s quite an accolade. 16 August 2016: Six months in: how does the half term report card read? 19 July 2016: Petrol or diesel? How do the figures stack up? 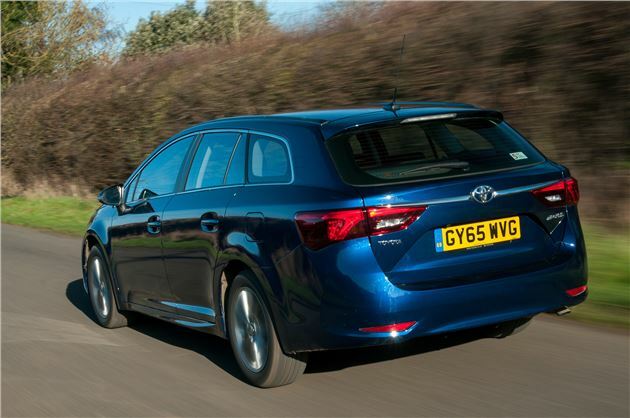 Our 2.0 D-4D Avensis is certainly economical but would a petrol have been better? We look at the facts behind choosing a petrol or diesel. 22 June 2016: Choosing an Avensis as your next car - what are its strengths? How does the Toyota stack up against alternatives when you're drawing up a shortlist of cars to buy? 18 May 2016: So... what's your view? When it comes to our Avensis Touring Sports how do the views of owners compare to my own? The Avensis Touring Sports appears to be part of a dying breed - the large family estate. Where have they disappeared to? Despite the rise-and-rise of the crossover in recent years, it’s hard to overlook the practicality of the good old fashioned family estate.